Northern Ireland remains a very generous society with over eight in every ten individuals continuing to make a donation to charity, despite these being difficult economic times. One of the starkest findings from this research is that almost three quarters of all donors stated that their charitable donation is determined by their disposable income. This is more so than in previous years and in such a harsh economic environment this could pose a real challenge for fundraisers. 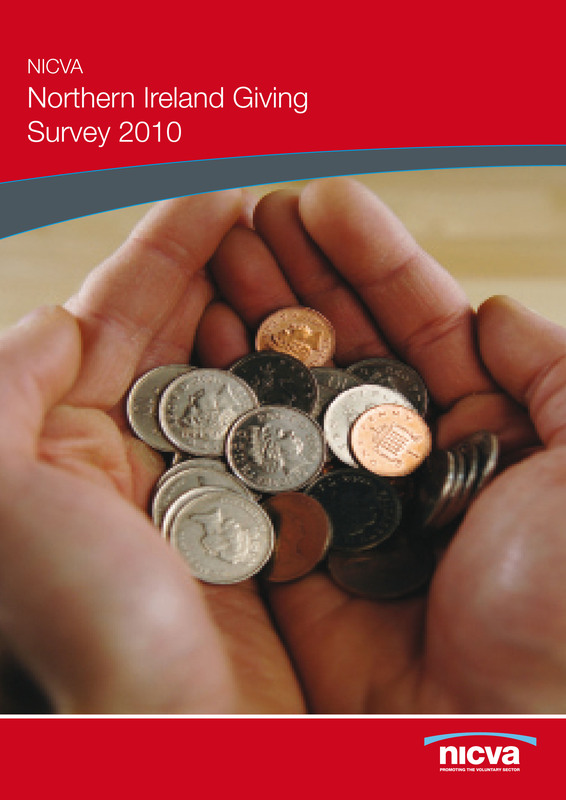 The Northern Ireland Giving Survey 2010 was based on 1,000 interviews with individuals (aged 16 and over) across Northern Ireland. Individuals were asked about their giving behaviour over the previous four weeks and what their motivations were for giving to charity. Only a small number of donors (14%) say they have decreased the amounts they give over the last year, 84% had either increased or maintained their level of giving. This reinforces how important charitable giving is in Northern Ireland, even during tough economic times. 90% of individuals have made a charitable donation in the previous 12 months. 83% had made a donation in the previous four weeks. This in line with the 2008 survey where 84% of individuals had made a donation. For further information on this research please the research team at NICVA on 028 9087 7777.